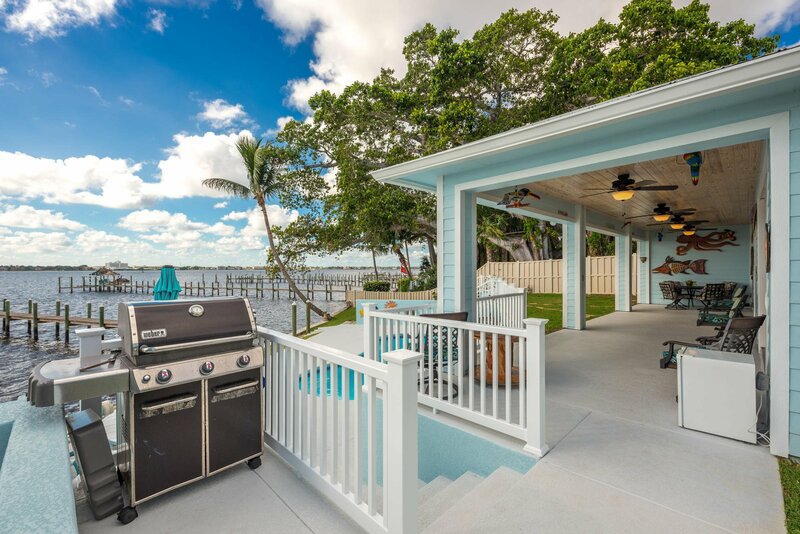 WIDE WATER BRAND NEW HOME (1470 under air 2/2/2) WITH GUEST HOUSE (768 under air 1/1) AND WORKSHOP!! 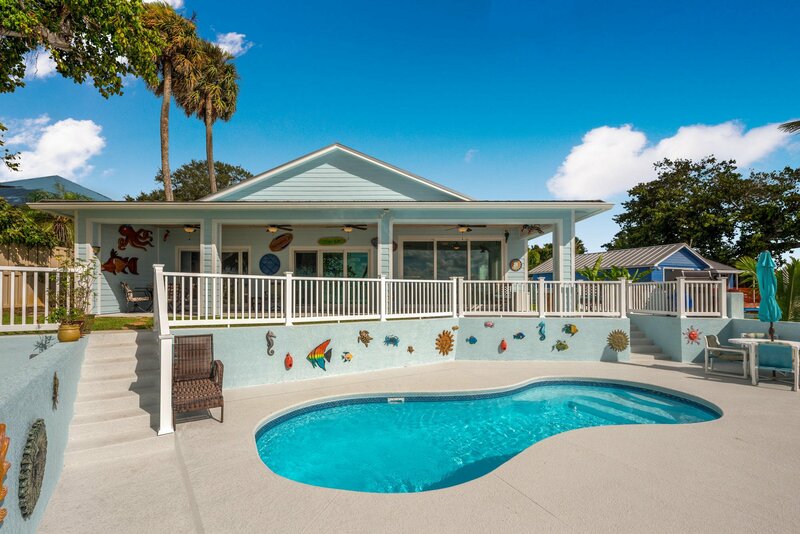 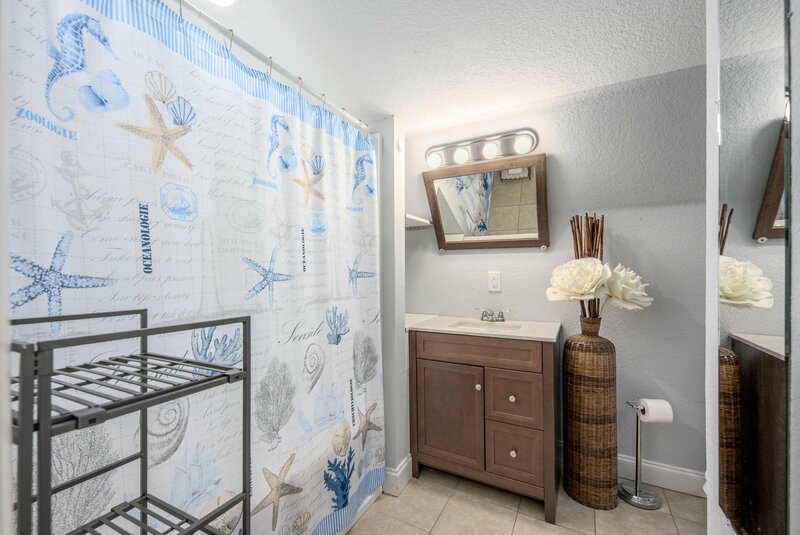 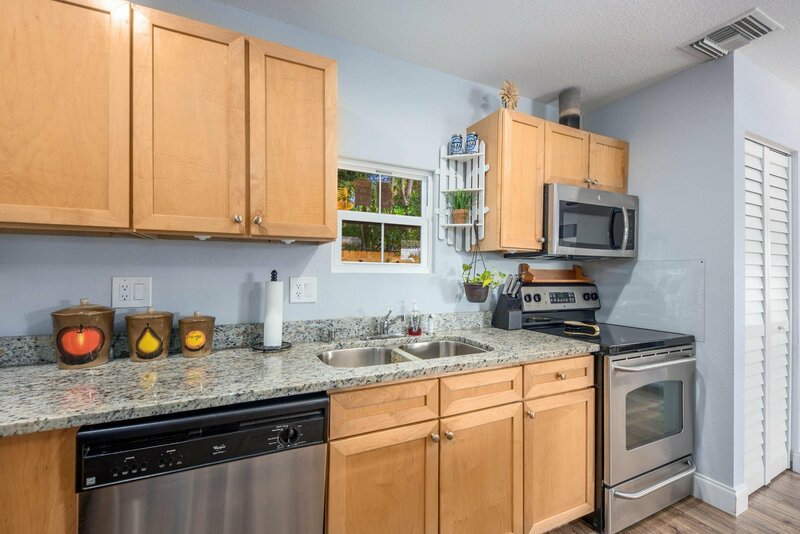 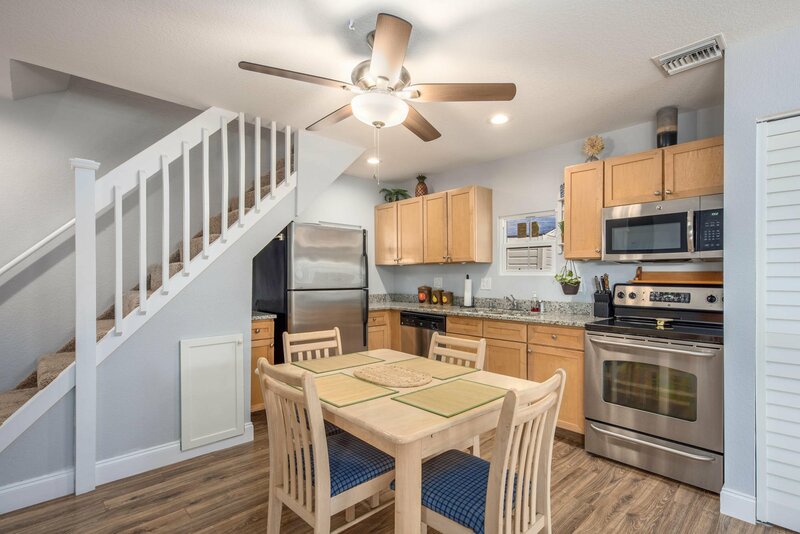 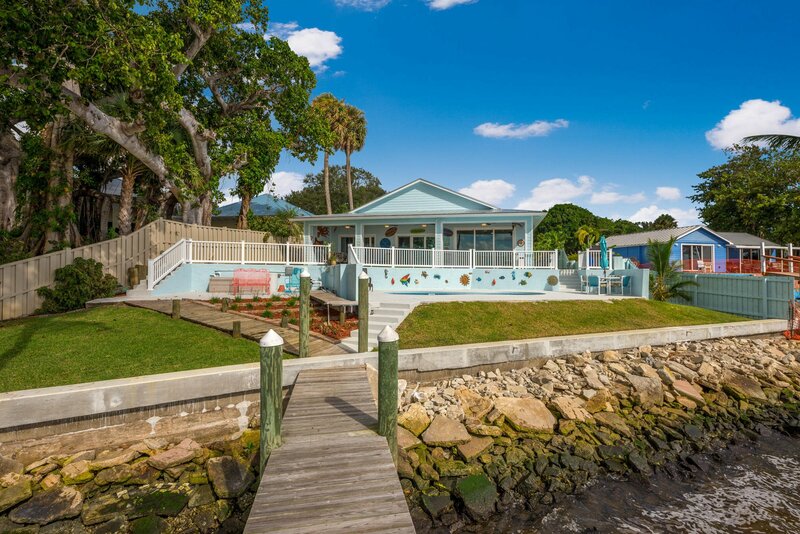 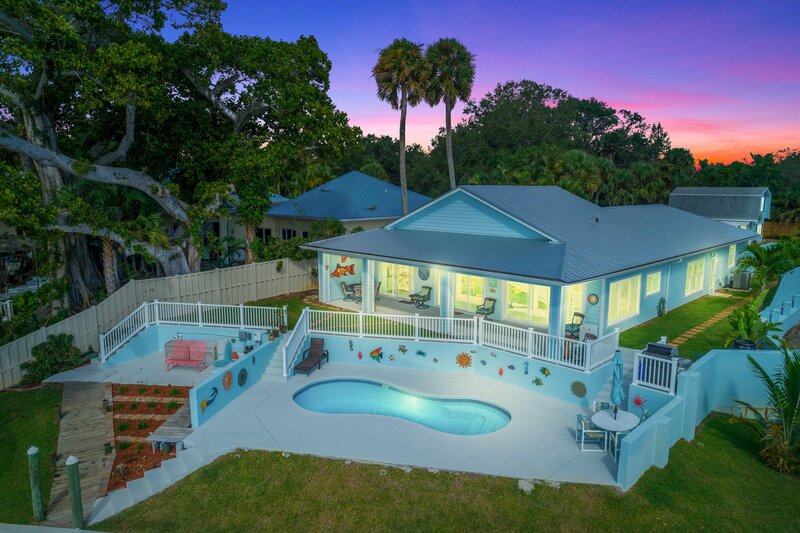 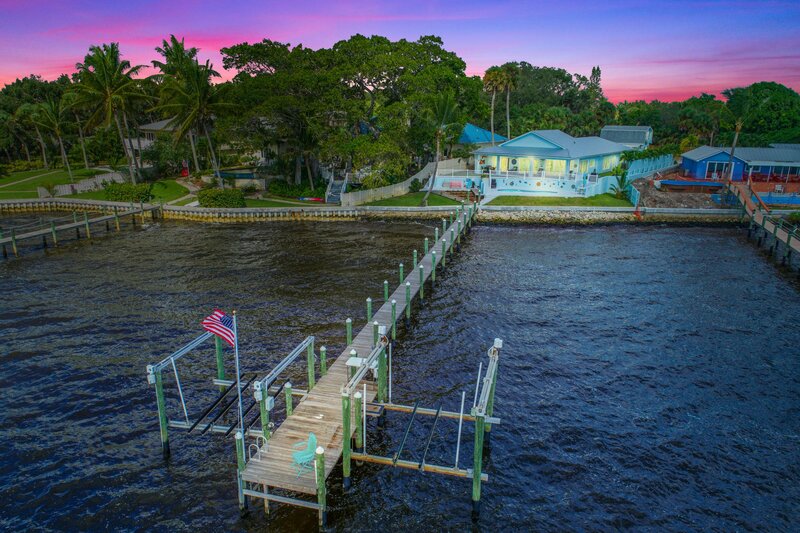 Discover this HIDDEN GEM located in Jensen Beach! 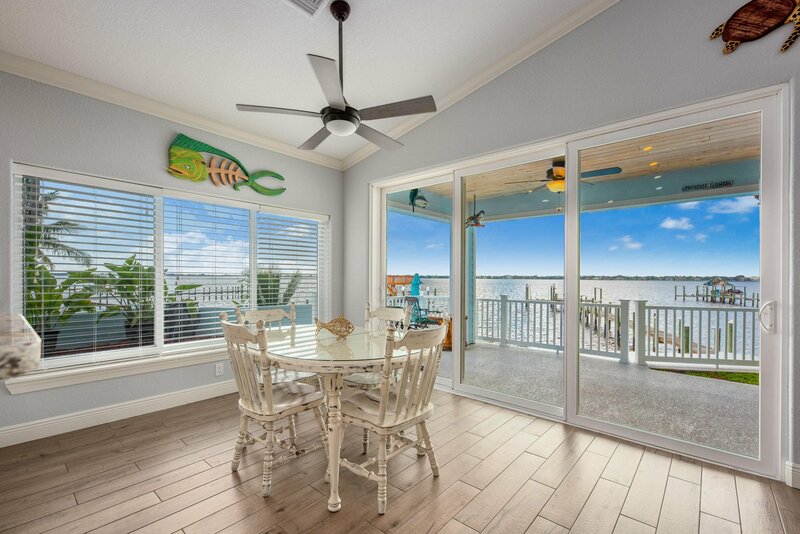 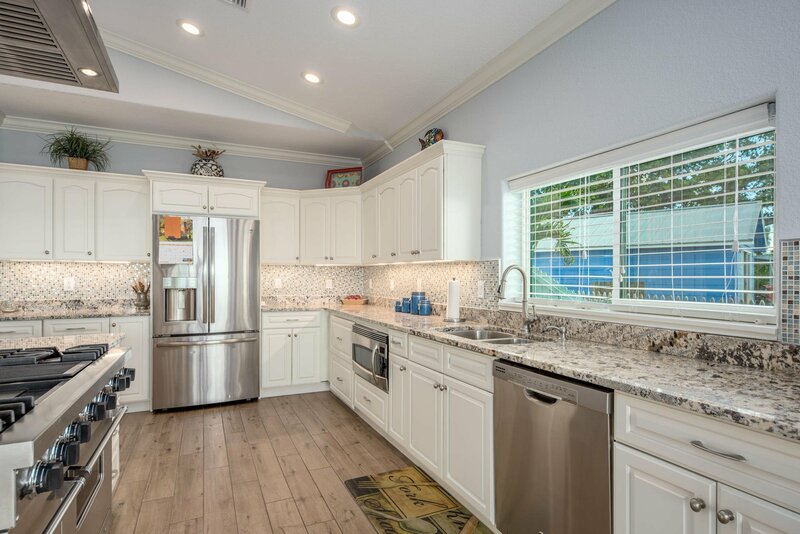 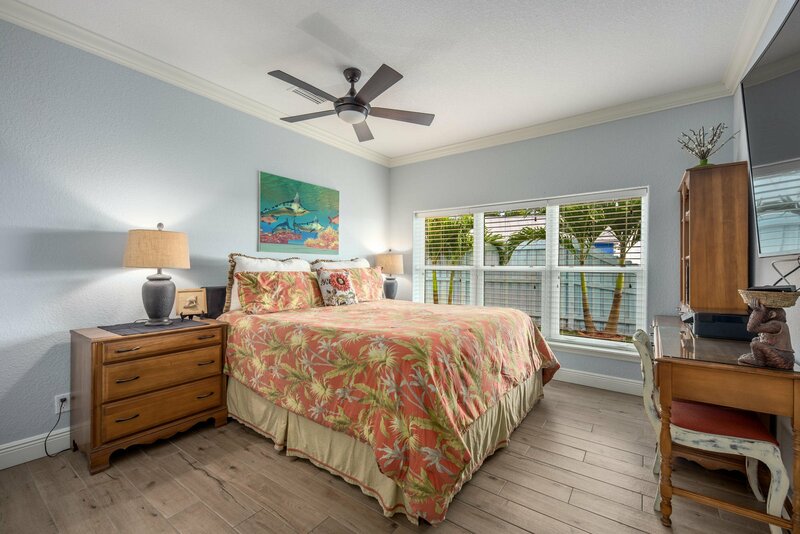 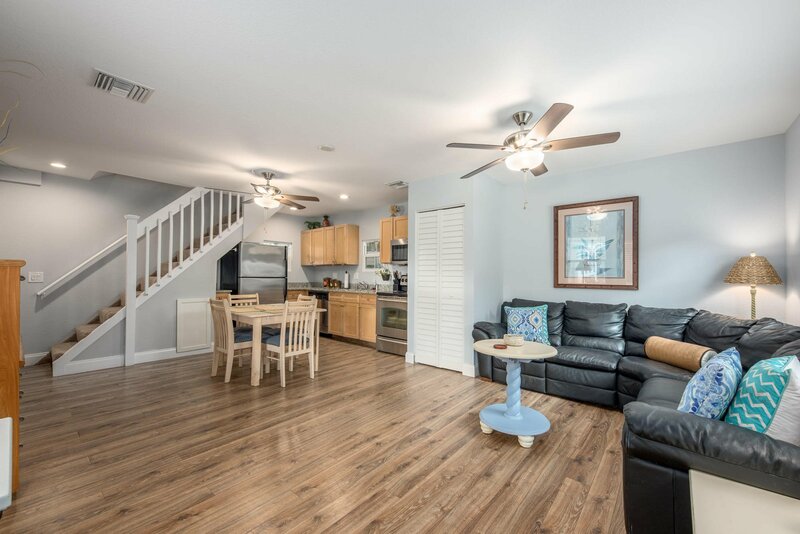 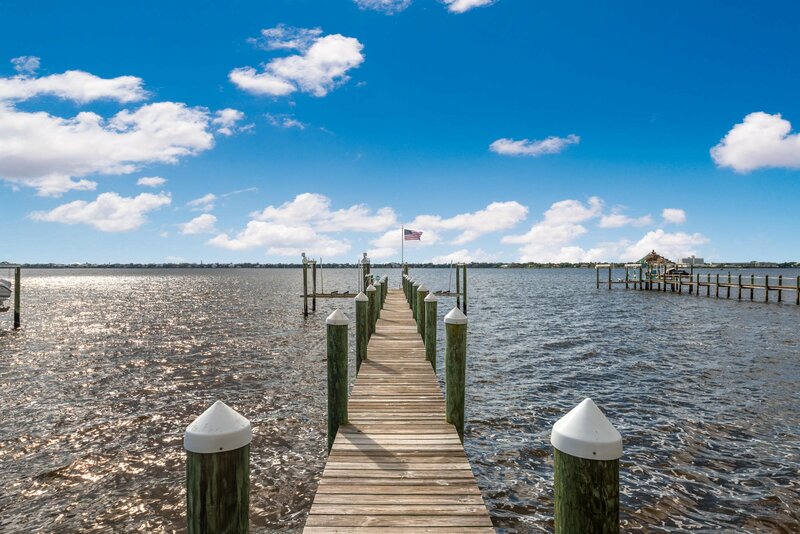 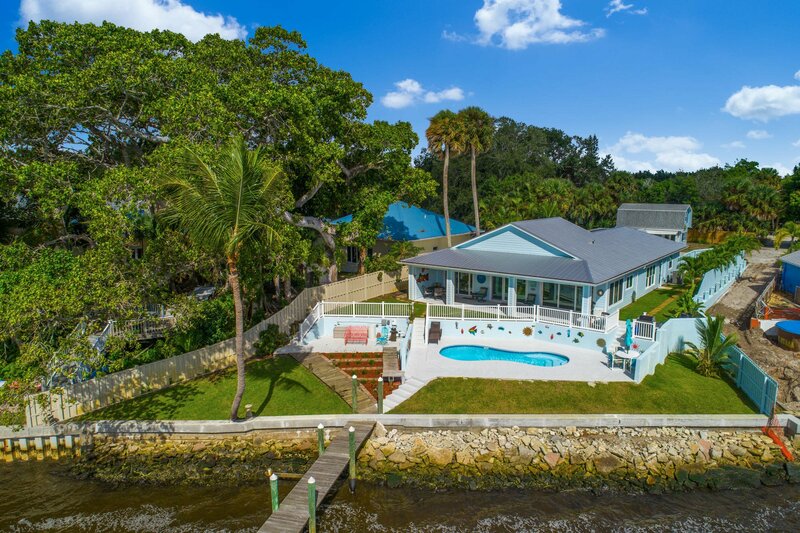 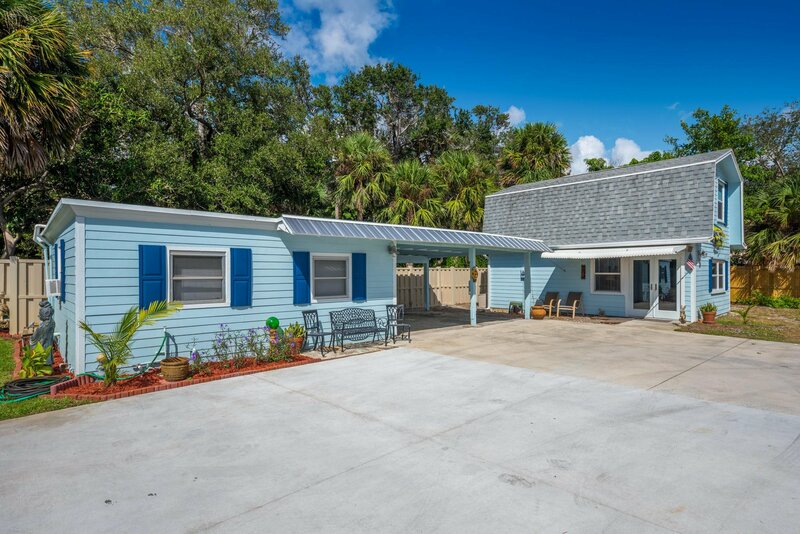 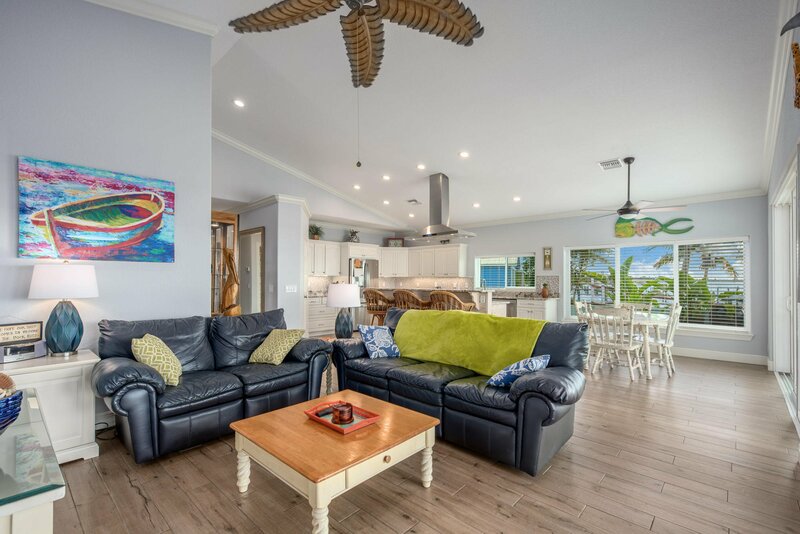 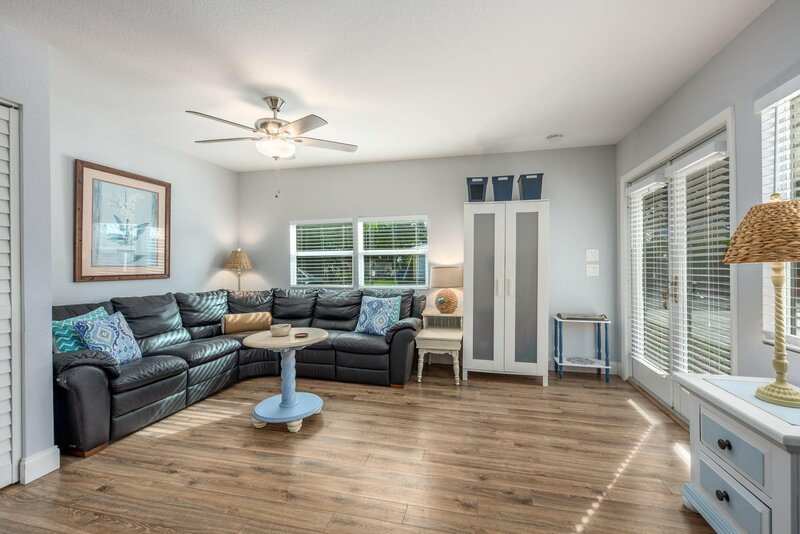 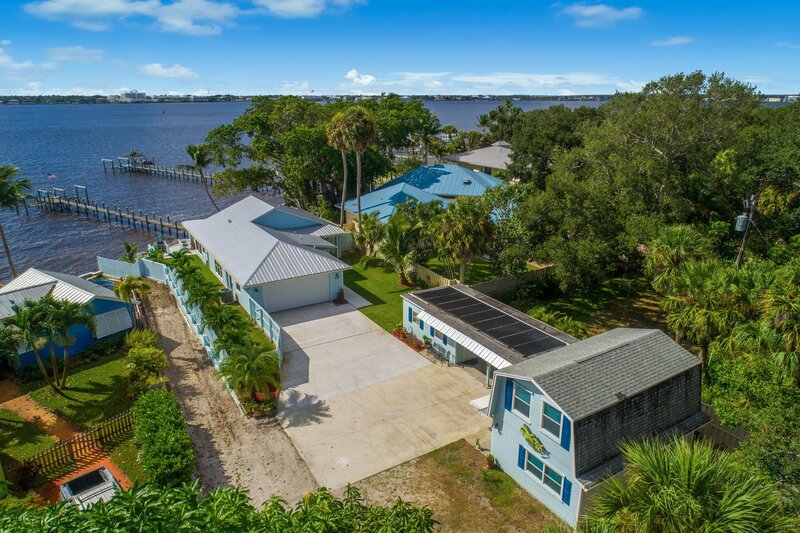 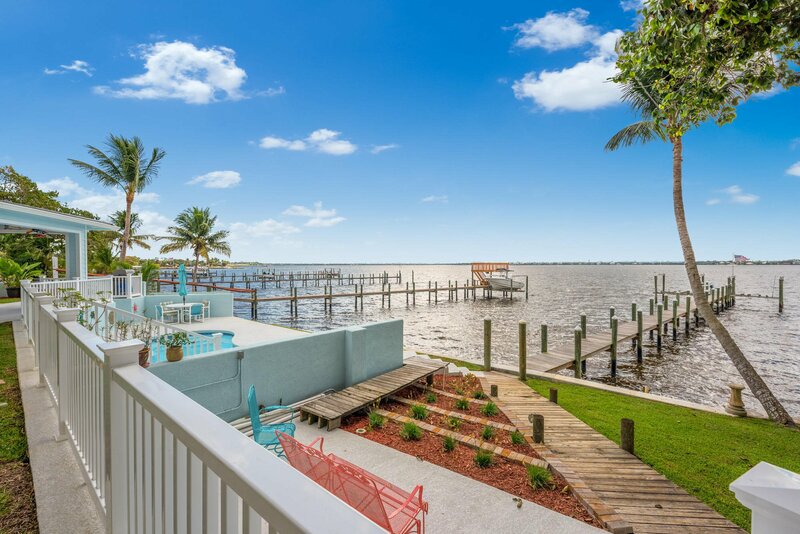 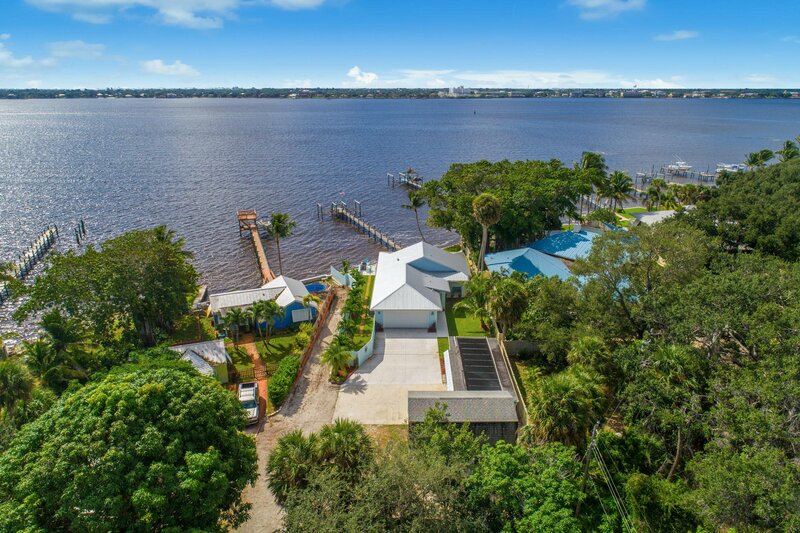 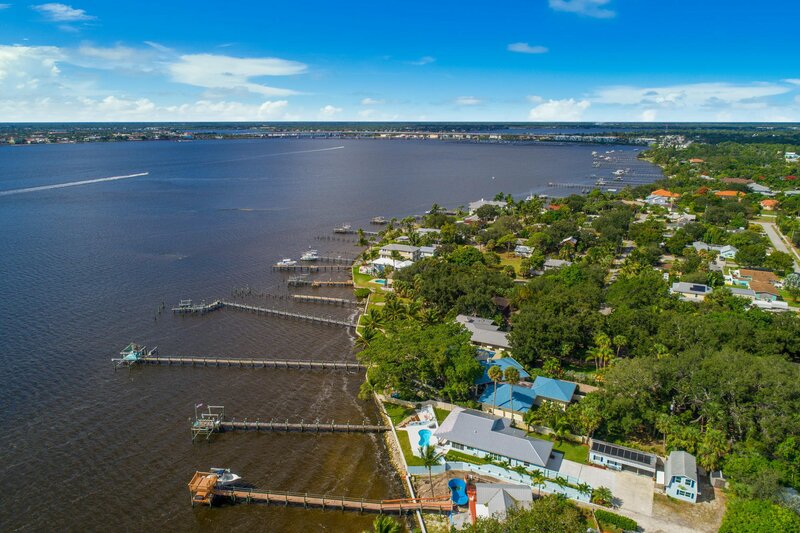 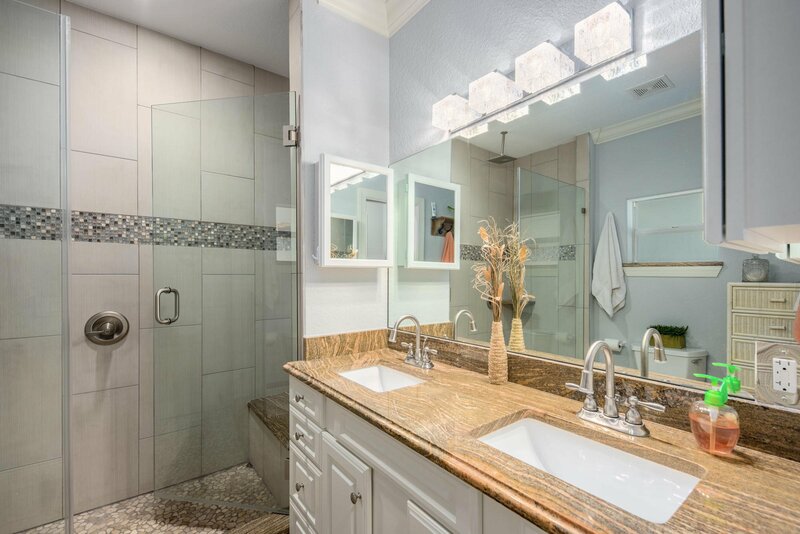 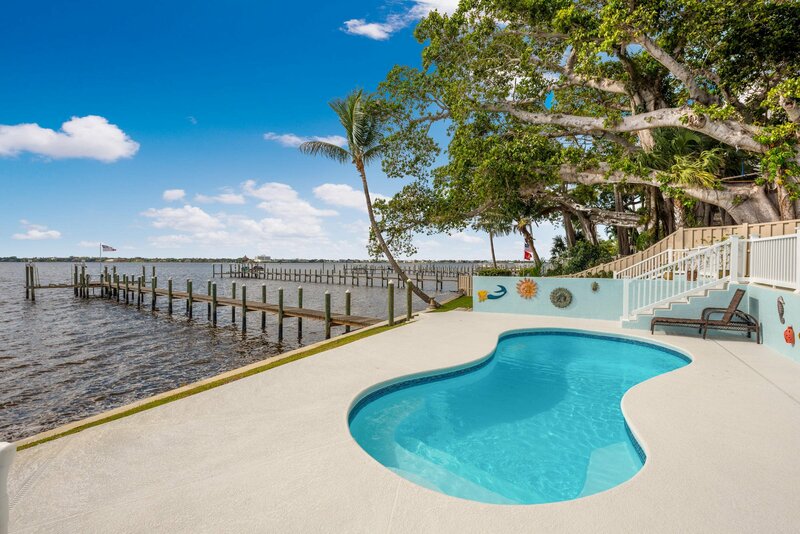 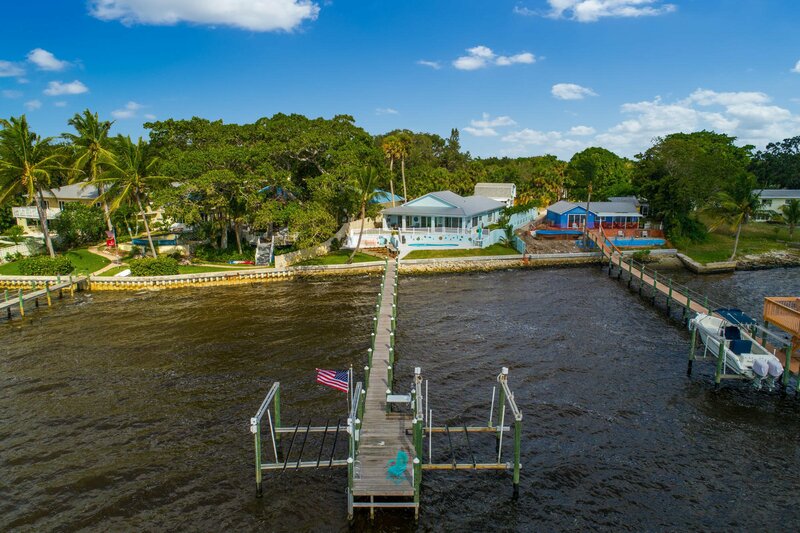 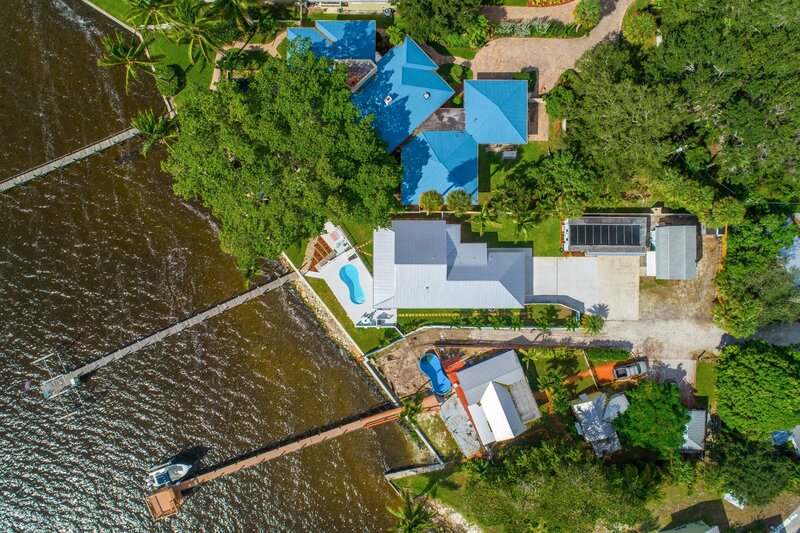 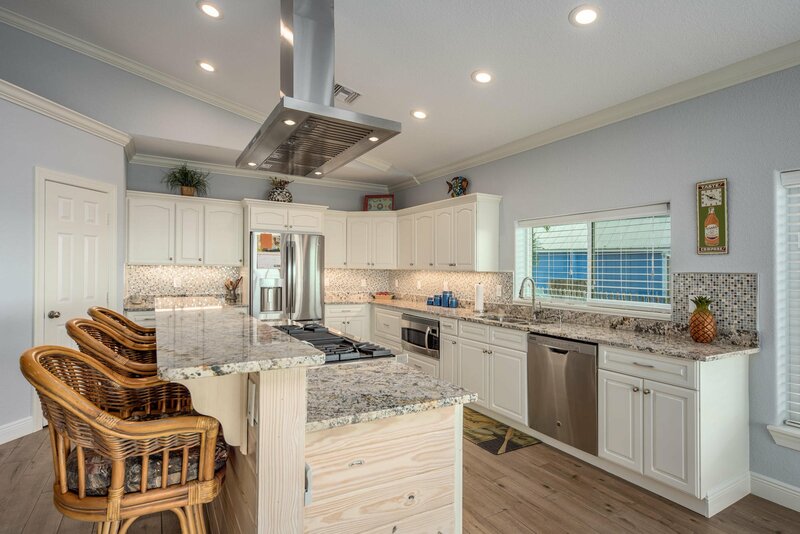 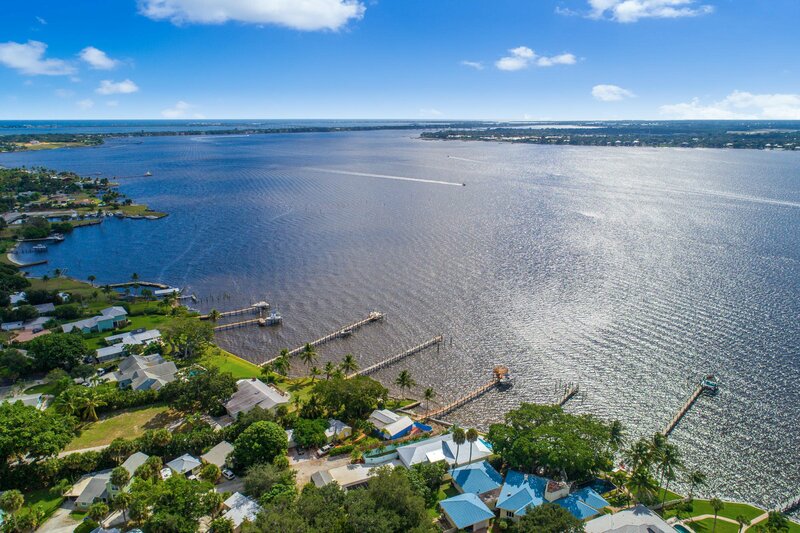 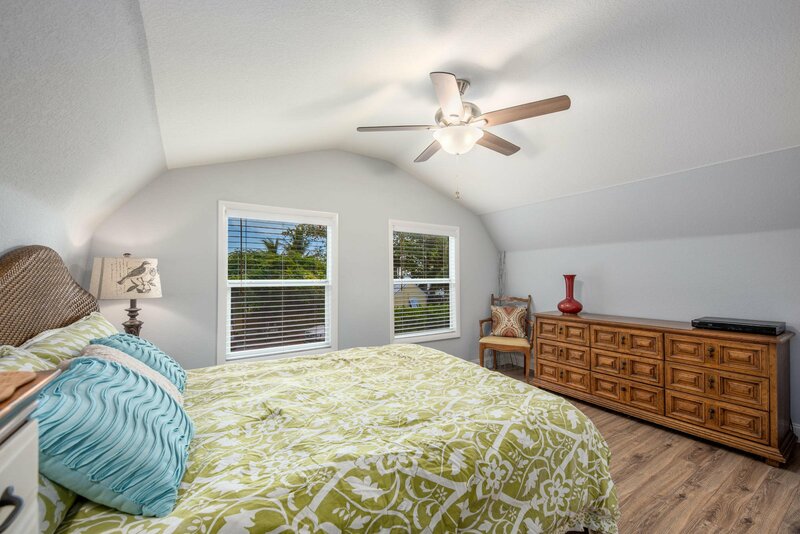 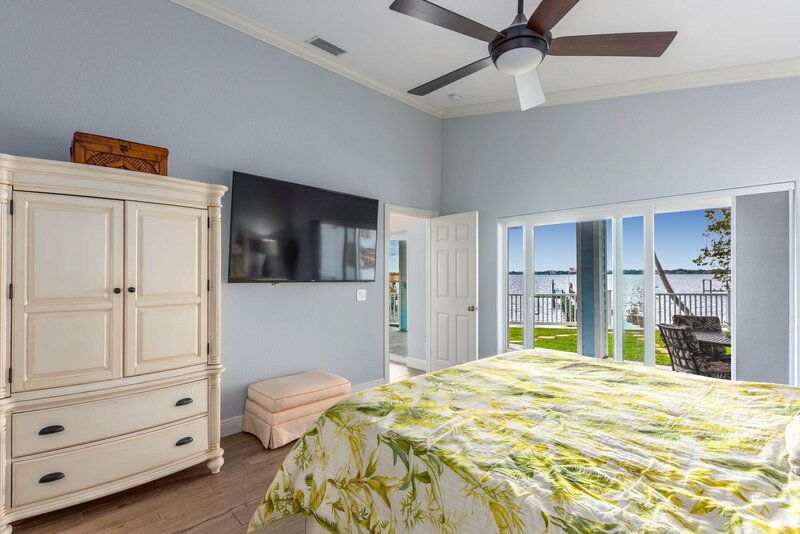 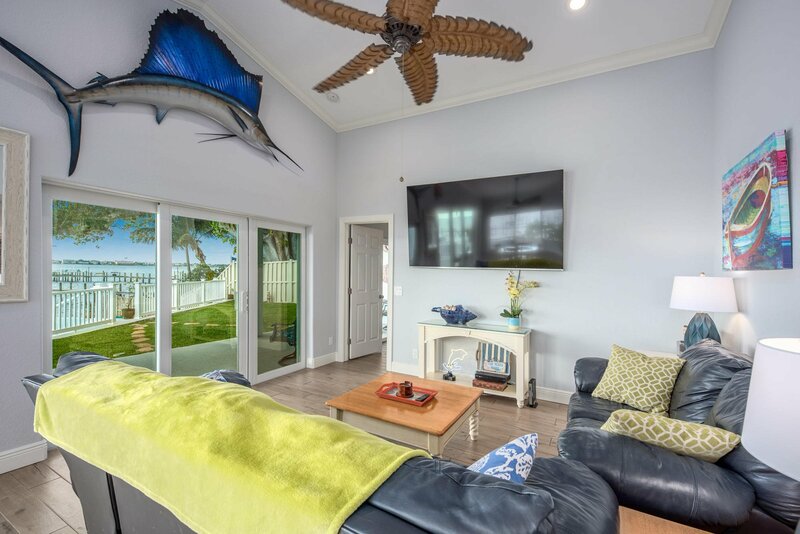 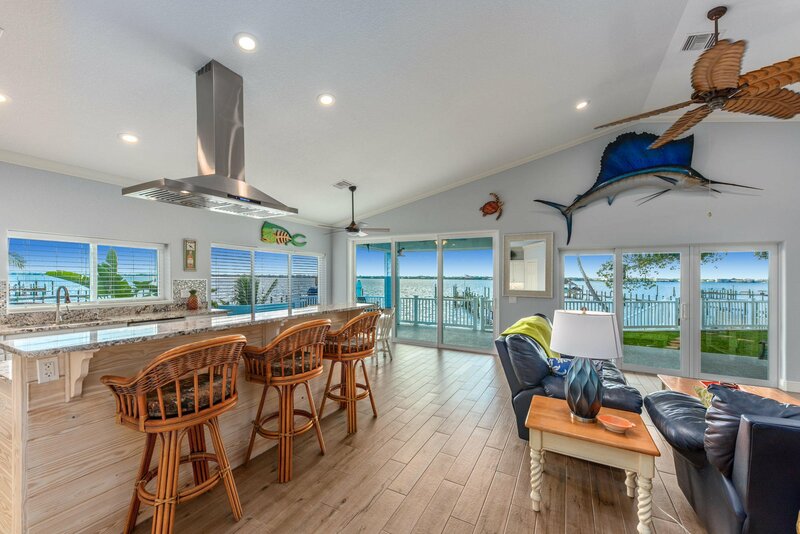 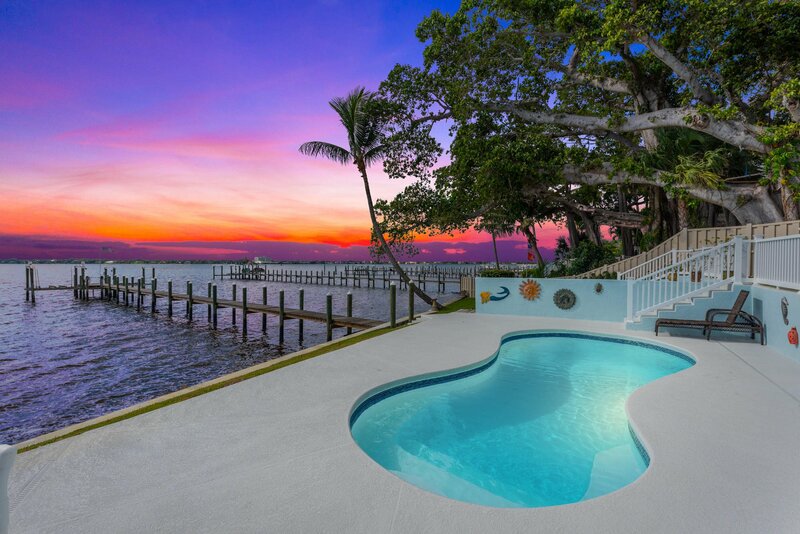 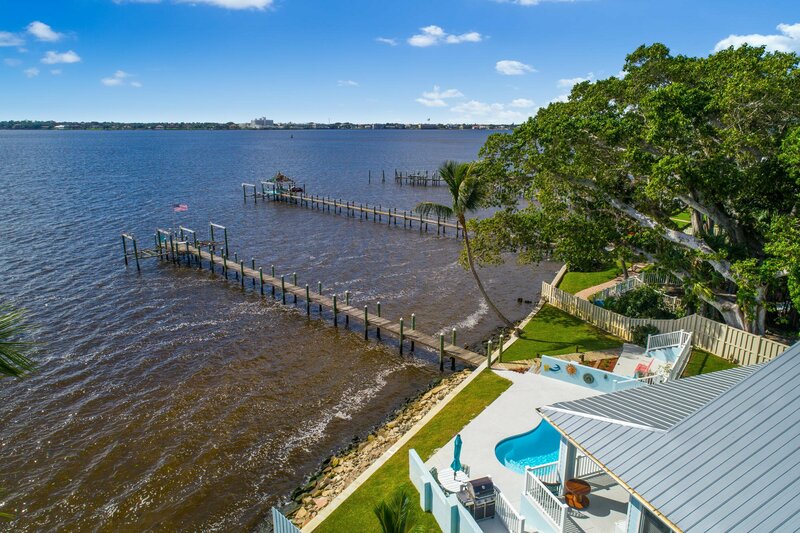 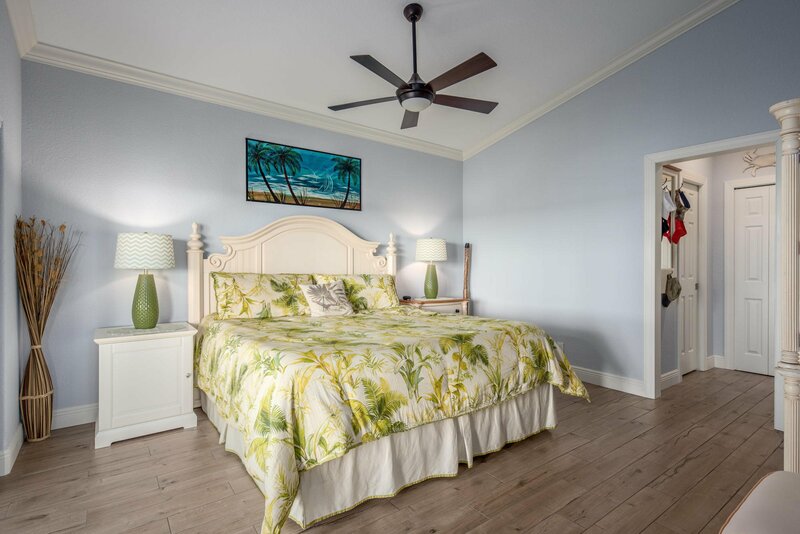 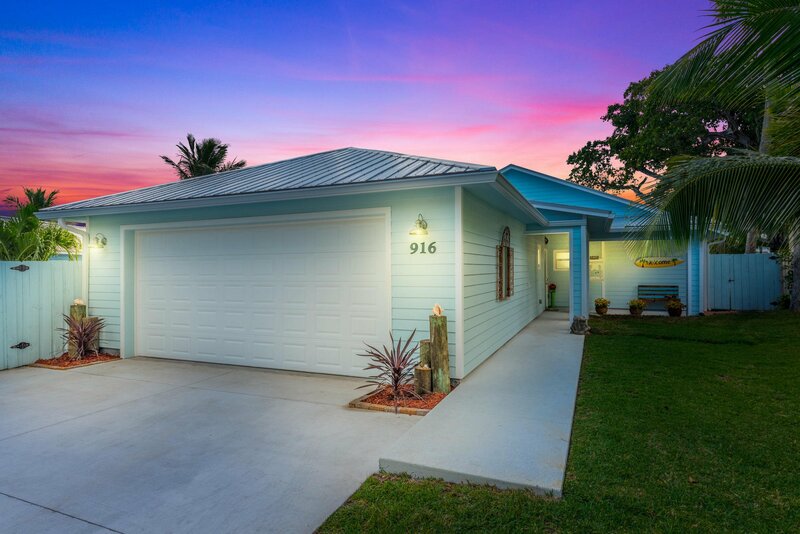 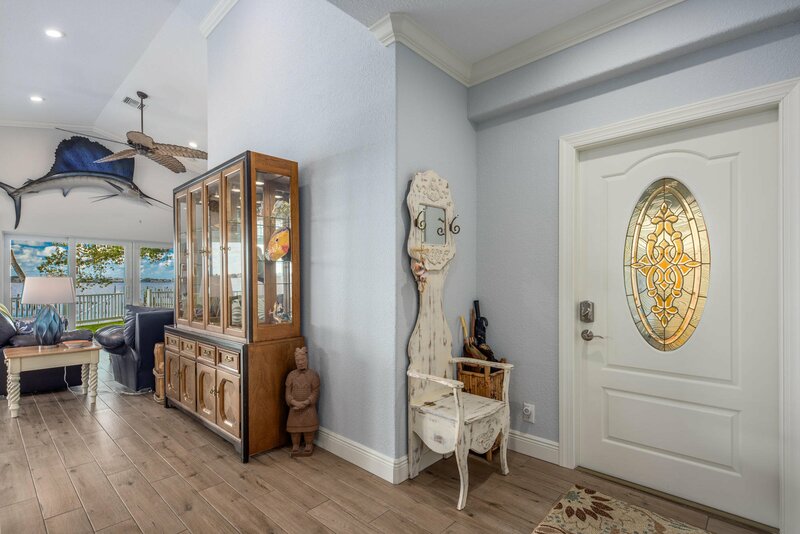 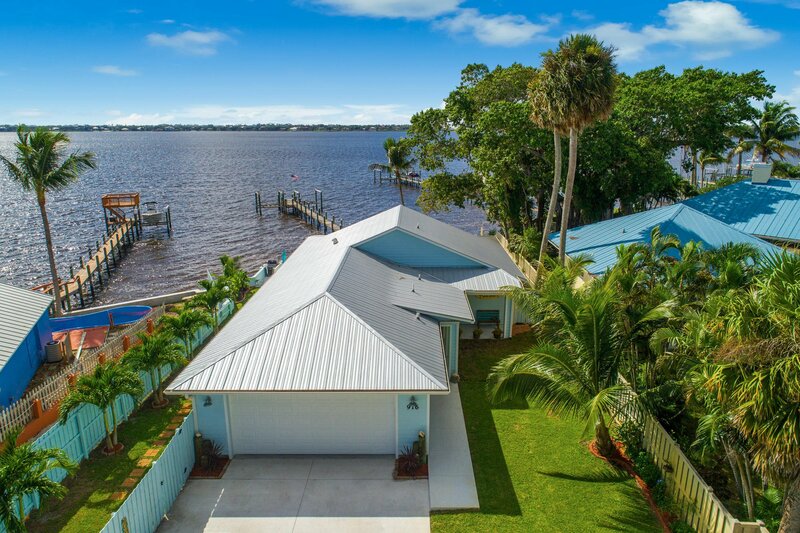 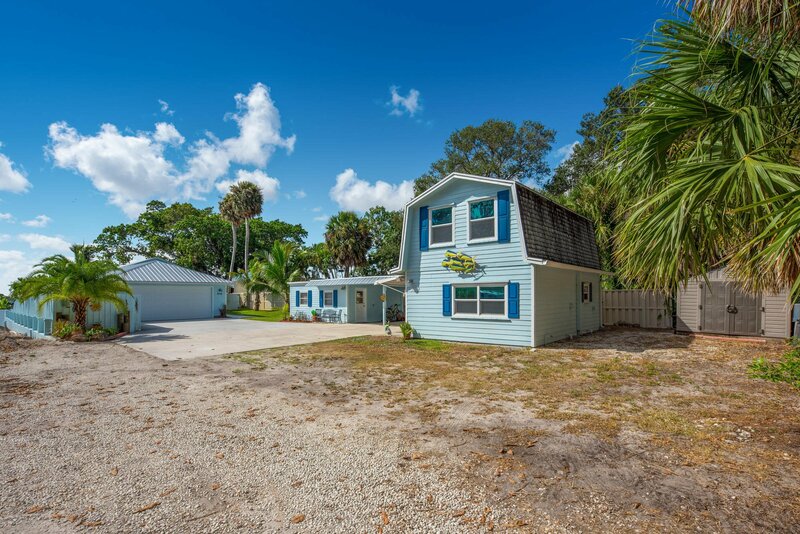 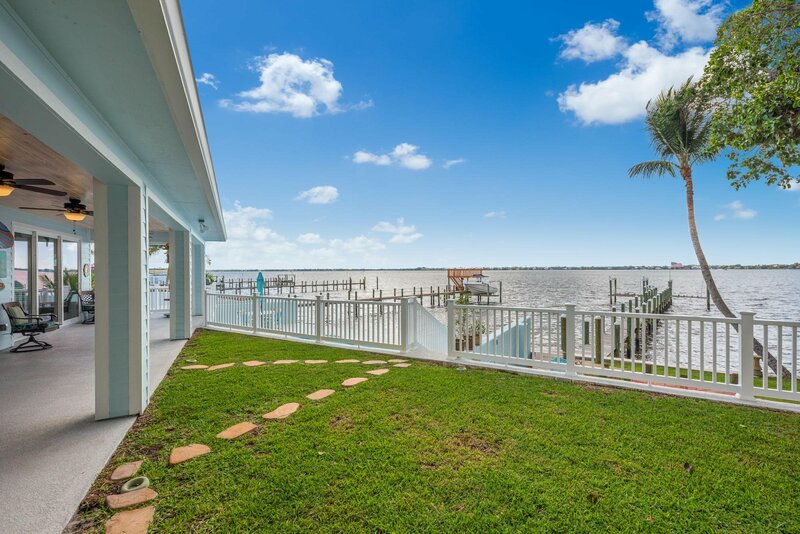 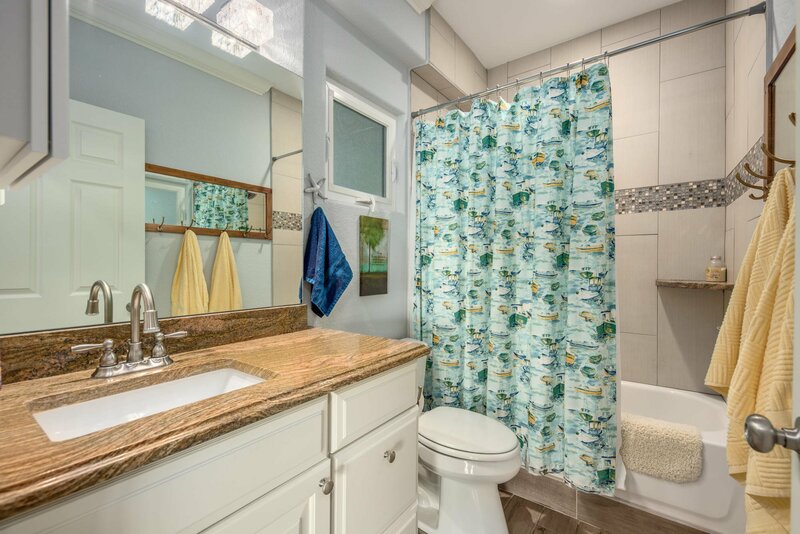 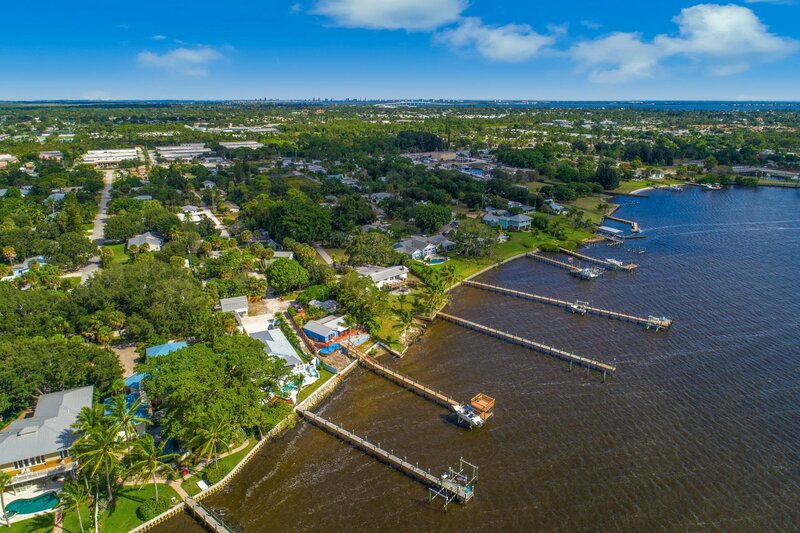 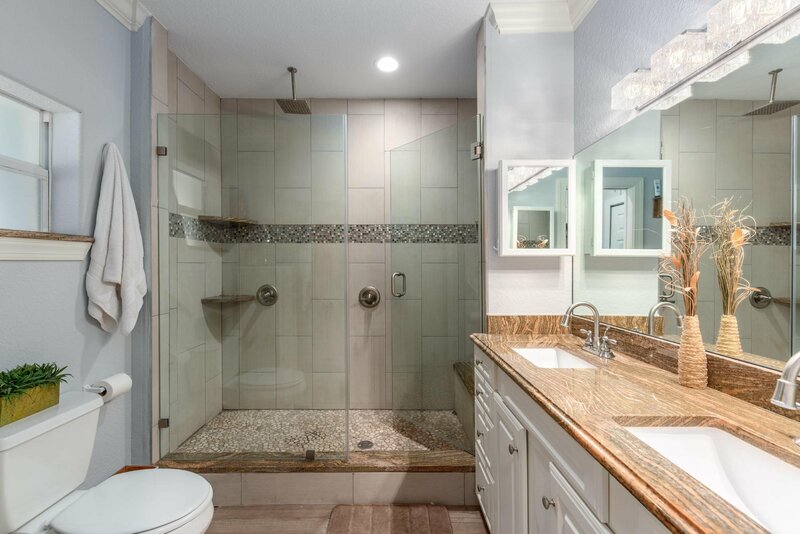 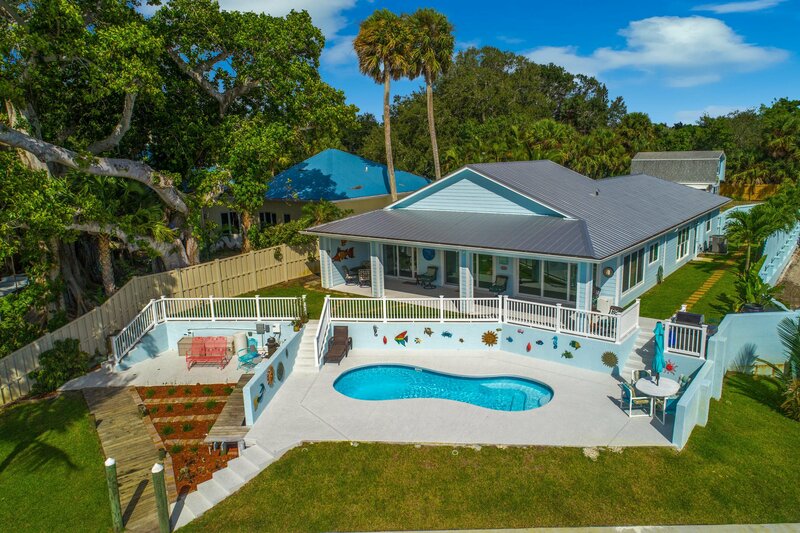 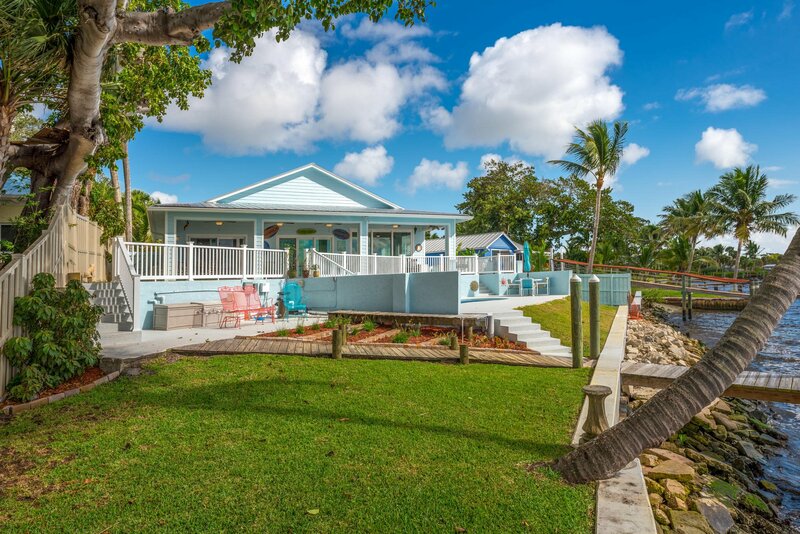 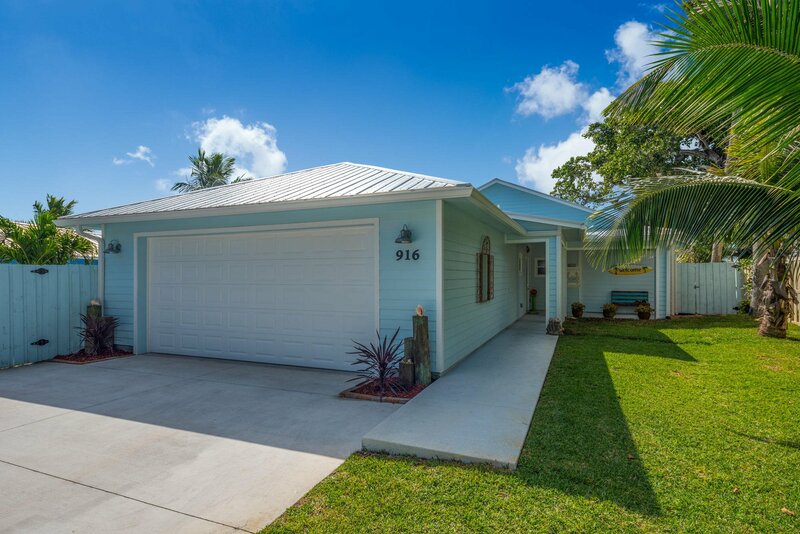 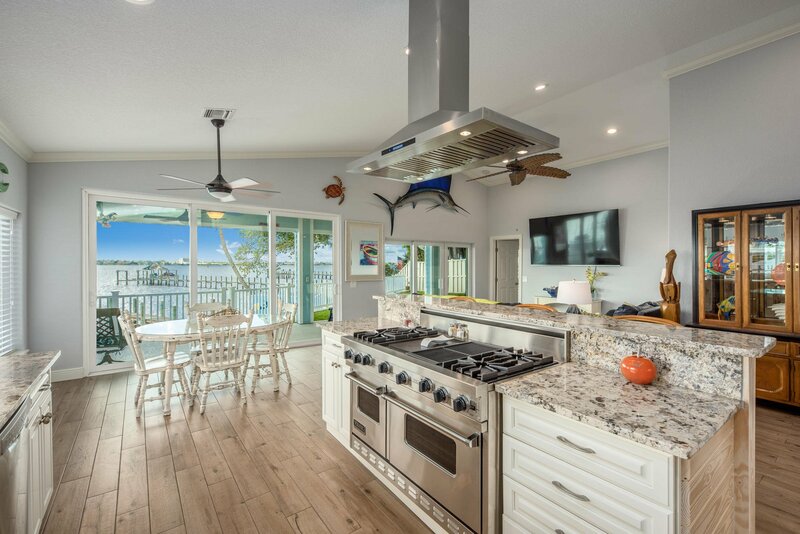 This home was just built and has AMAZING views of the wide Saint Lucie River. 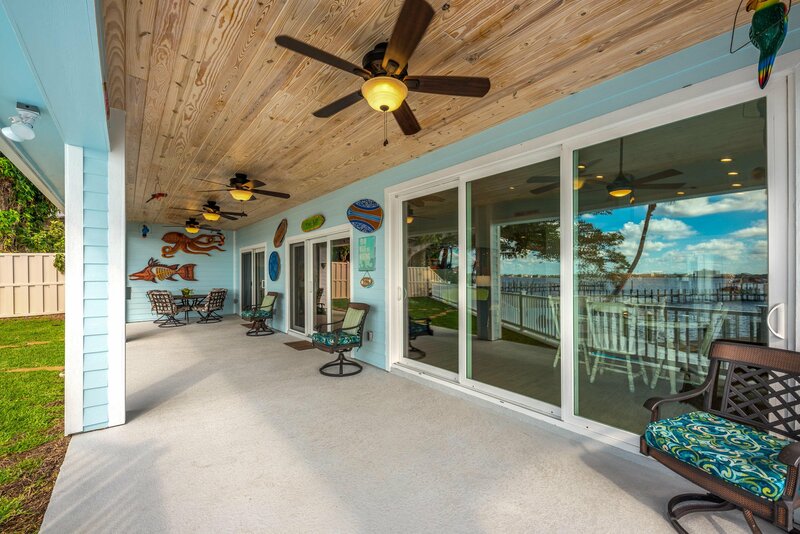 SOLID CONCRETE block construction with IMPACT GLASS WINDOWS and DOORS! 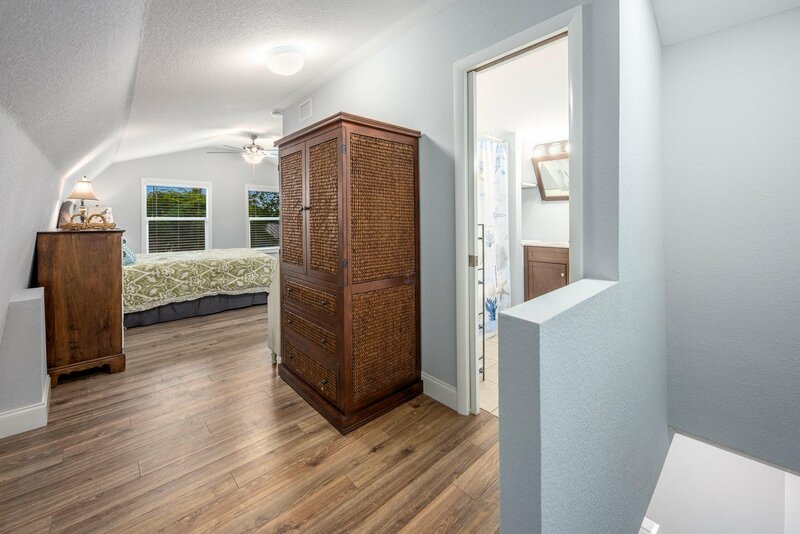 Features include New spray foam insulation in home/garage/shed for super energy efficiency, Hardiboard siding, Gutters, 5 1/2 inch crown molding in every room, Viking 48 gas range 4 burner grill and griddle, GE professional SS appliances, Level 3 granite in kitchen and bathrooms, Kitchen - Touchless faucet, Porch 10x40 w/white wash tongue and grove ceiling and kitchen bar, Wood like tile 6x36, 600 sq ft double car garage with hurricane door, fully air conditioned workshop, Remotes on dock so you you can raise and lower with a key fob (on both 8000lb lift Jetski 12000 lift boat) , approx 5ft deep at dock, Salt water pool/Solar heated, Guest House/Cottage with 1bed/1ba kitchen and living room!